KUBINKA /Moscow Region/, August 24. /TASS/. The Russian Navy has launched work to develop a nuclear propulsion system for a next-generation aircraft carrier and is already working on the warship’s project, Navy Shipbuilding Chief Rear Admiral Vladimir Tryapichnikov told Zvezda TV Channel on Friday. "This is a very complex issue. It is, indeed, being worked out today by the design bureaus of the United Shipbuilding Corporation. It is also being decided by shipyards as capacities are needed to create such a warship," the rear admiral said, replying to a question about whether the Navy needed a nuclear-powered aircraft carrier. The Russian Navy’s research institutes are also working on this issue, he said. "Today, an engine has been launched [the research work on its creation has been launched] and today we are working precisely on this issue. Some concept will be approved in the near future. Of course, this is expensive but such a ship should be built," the rear admiral stressed. The Navy’s shipbuilding chief also said that a new-generation aircraft carrier "should be modern and be able to accomplish its assigned missions." "Such a decision will be made in the near future," the rear admiral said. The Russian Navy currently has the sole conventional medium aircraft carrier Admiral Kuznetsov (the heavy aircraft-carrying cruiser according to the Russian classification). As the Russian Navy said earlier, the Fleet expects to get a next-generation nuclear-powered aircraft carrier displacing no less than 70,000 tonnes by late 2030. 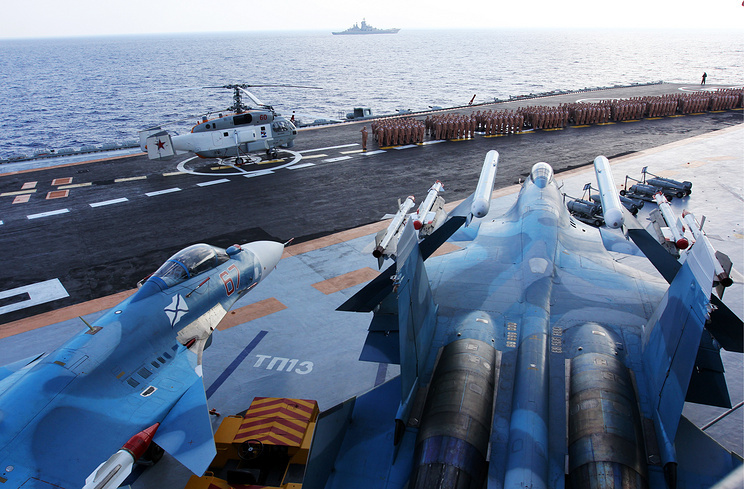 The Nevskoye design bureau is Russia’s sole research institute designing aircraft carriers.